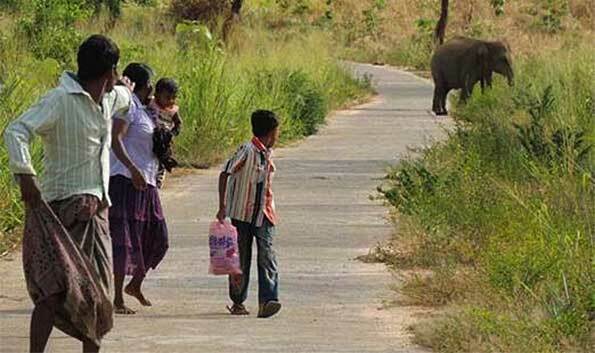 Human-elephant conflict is one of the biggest environmental and socio-economic crises of rural Sri Lanka. Annually elephants cause over $10 million of crop and property damage and in retaliation the farmers kill the elephants. On average 225 elephants have been killed by farmers annually since 2008 and elephants have killed about 60-80 people annually, most in their own villages and fields. The corridor from the Wasgamuwa National Park to the elephant’s main water and food source is vital for elephants but it is also used by villagers living adjacent to the forest reserve. 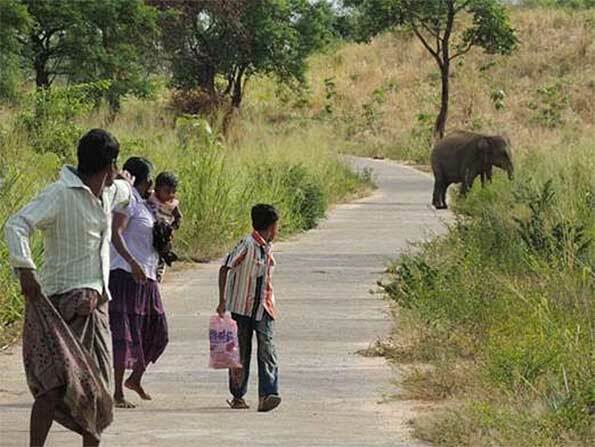 It is not unusual to see school children, men and women walking and biking while elephants are present, always fearful of an elephant attack. So they harass the elephants to scare them away and unfortunately such behavior makes elephants more aggressive rather than scared of people. This project undertaken by the Sri Lanka Conservation Wildlife Society purchases a bus to provide service through the elephant corridor. The bus will provide a safe and secure conveyance for the villagers while allowing the elephants to use the corridor without being harassed, injured or chased from their habitat.